Whether you’re visiting an international convention or you’re planning to take on a grand vacation, it would be practical to charter for a Gulfstream G3. Skip long lines in cramped airports and enjoy the exclusive features of a private flight on the said plane. This jet also has a space equivalent to 13 passenger seats. Its customized features ensure you’ll have a productive and restful trip within the next 5 hours or so. One of the plane’s standard features includes WiFi so you can stay in touch with your friends, family and business partners. It also has a spacious and comfortable cabin where seats may be reclined. Some Gulfstream G3 units include a divan along with their laid out passenger seats. The divan may be transformed into a bed, depending on the interior’s customized functionalities. As you charter for a flight on board the Gulfstream G3, it’s always best to confirm its facilities with your chosen operator. Know more about the plane’s specifications and schedule a private flight on board the jet today. As you enter the Gulfstream G3’s standard interiors, you’ll find the pilots’ cockpit on the left and galley for food preparation on the right. The cabin itself has passenger seats which are in club lay out formats. Each seat may have a pull out or foldable table for you to enjoy your meals and snacks. The same table may also be turned into a workstation where you can catch up with your emails and update your cloud based documents. If you’re having a presentation at an international convention, you may further refine your slides and even rehearse your speech while in flight. Be sure to confirm your plane’s exact facilities with your operator, so you can make the most of your trip. The Gulfstream G3 also has its customized, in-flight entertainment systems so you may have an enjoyable flight. Its galley is equipped with small appliances and compartments which may serve as a pantry. The plane usually has a microwave oven, fridge and coffee maker for food preparation. For further comfort, Gulfstream G3 also has a lavatory at the rear of its cabin. 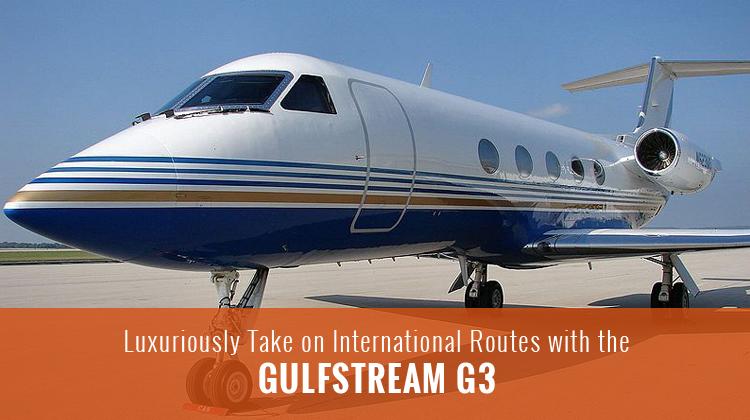 Hopping aboard the Gulfstream G3 means you’ll be experiencing a competitive performing flight. Whether you’re taking on a far off, regional destination or an international location, you can be sure this jet can get you there. If you’re coming from Toronto, the Gulfstream G3 can fly you to as far as Czech Republic, Switzerland or Germany. Should you be maxing out the range of your charter, it’s necessary to confirm the number of passengers who will be flying with you. Your allowable luggage weight must also be settled with your operator. This way, your service will jot down the most efficient route and schedule options for your flight plan. Keep in mind, a lighter the aircraft will lead to much farther destinations at the fastest possible time. 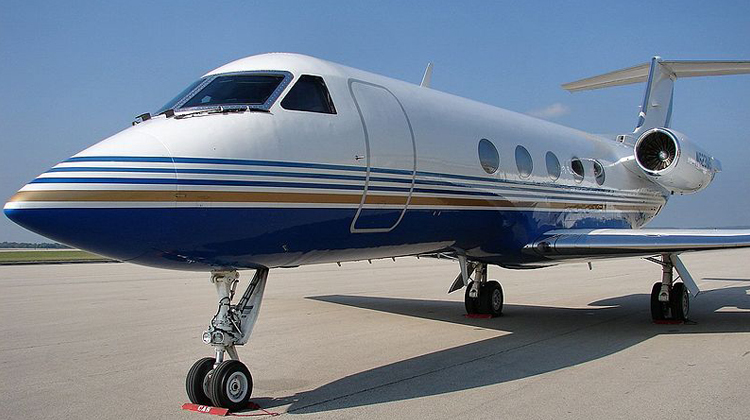 Manufactured by Gulfstream Aerospace, the Gulfstream G3 took on its first flight in 1979. It currently has over 200 units built and being flown around the world. Today, the plan has had over 18 countries as its operators with roughly 8 variations for military applications.